Objectives: To determine the attitudes of faculty and residents of surgical specialties towards professionalism and to test the validity and reliability of a tool developed in USA for Pakistan. Methods: An exploratory validation study was carried out at Pakistan Institute of Medical Sciences (PIMS), Islamabad from 01-Aug-2016 to 31-Jan-2017. Penn State College of Medicine Professionalism Questionnaire (PSCOM) was used, being a reliable and valid survey tools. Exploratory Factor Analysis of the inter-correlations of responses for 36 items was done using SPPS v 21 to give a factor solution to reflect the perceptions regarding attitudinal elements. Results: There were 209 respondents including 172 residents and 37 faculty members. Response rate was 81.32%. Exploratory Factor Analyses of responses gave a seven factor solution of professionalism: accountability, honour and integrity, excellence, duty, altruism, equity and respect. Six of the factors that emerged reflect the six elements of professionalism reported by American Board of Internal Medicine (ABIM), except for ‘equity’, which was the new factor that emerged. Cronbach’s alpha (Internal Consistency Reliability) for each element of professionalism was between 0.88-0.98. 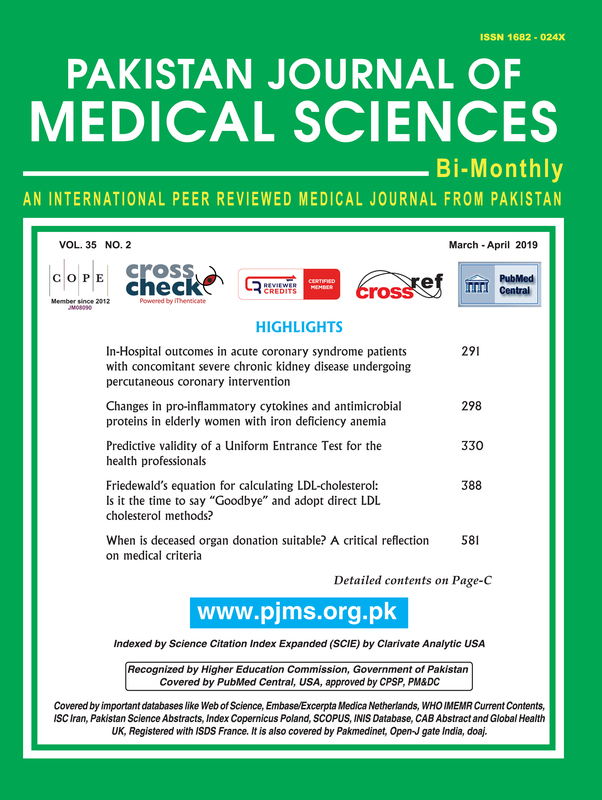 Conclusion: PSCOM is a valid, reliable, feasible and acceptable tool to assess attitudes of faculty and residents towards professionalism in Pakistan. ‘Equity’ emerged as a new factor which needs to be studied further.